Union Medical Group at 2401 Morris Ave., Union, has been awarded recognition by the National Committee for Quality Assurance Patient-Centered Medical Home Program. Both Nereida Diaz-Johnson MD and Clark Philogene MD of Union Medical Group LLC have been awarded recognition by the National Committee for Quality Assurance PCMH program. 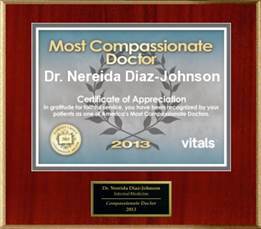 Recognition shows that Drs. Johnson and Philogene have tools, systems and resources to provide their patients with the right care at the right time, according to the NCQA announcement. "The patient-centered medical home promises to improve health and health care," said NCQA President Margaret E. O'Kane. "The active, ongoing relationship between a patient and a physician in medical homes fosters an all-too-rare goal in care: staying healthy and preventing illness in the first place." Based on reviews from their patients, Drs. 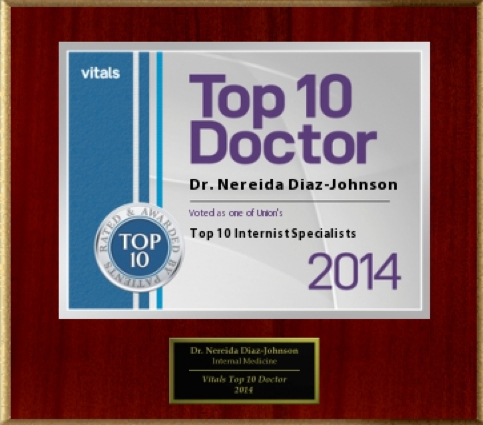 Nereida Diaz-Johnson and Clark Philogene have been ranked among the nation’s top physicians. 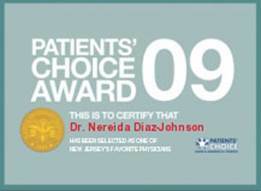 Dr. Diaz-Johnson recently was informed that she has earned the Vitals Patients’ Choice distinction for five consecutive years. Only doctors who have received top scores by their patients and pass other quality measures are recognized by these awards. Of the nation's 720,000 active physicians, only an estimated five percent are accorded this honor. Over a period of years, these awards have recognized Drs. 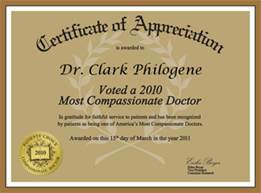 Johnson and Philogene, based on patient ratings for bedside manner, staff courtesy, time spent with the patient, accuracy of diagnosis, promptness, degree of follow-up, and overall impression of care. We are proud of these achievements and look forward to continuing to provide quality, personalized care to our patients. Union Medical Group has a history of supporting the community it serves, sponsoring local athletic activities, participating in community health fairs and providing lectures and health screenings to area civic organizations and churches. Health lectures at community gatherings have ranged in topics from pediatrics to diabetes, hypertension, prostate cancer awareness and HIV awareness. The Union Medical Group doctors have also been recognized as a certified center for Peripheral Arterial Disease screening, or “PAD.” People with PAD are at increased risk for heart disease and strokes. PAD can also be an indicator of diabetes, hypertension and other conditions.